One of my favorite times of year, Chinese New Year, is a celebration full of color and light. I love seeing the city and all its stores get into the festivities, dressed in red, a symbolic color representing prosperity and joy! In the spirit of tradition and celebration, I donned my favorite red piece of the season by Ted Baker to explore the city. 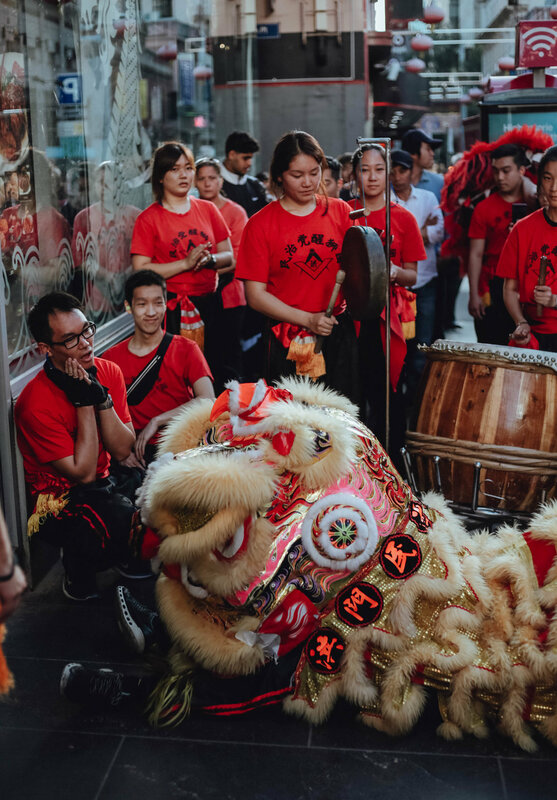 Starting in Melbourne's iconic Bourke Street Mall and then over to China Town, we we fortunate in our timing to catch the fun of the Lion Dance as the 'lions' roamed the city visiting various Chinese restaurants as is custom. The noise of the drums to which the lions dance helps you spot them a mile away but it was firecrackers they let off that was SO loud and startling - I was glad I wasn't the one carrying the camera because I definitely would've dropped it... pretty sure my heart stopped when the first explosion went off!! 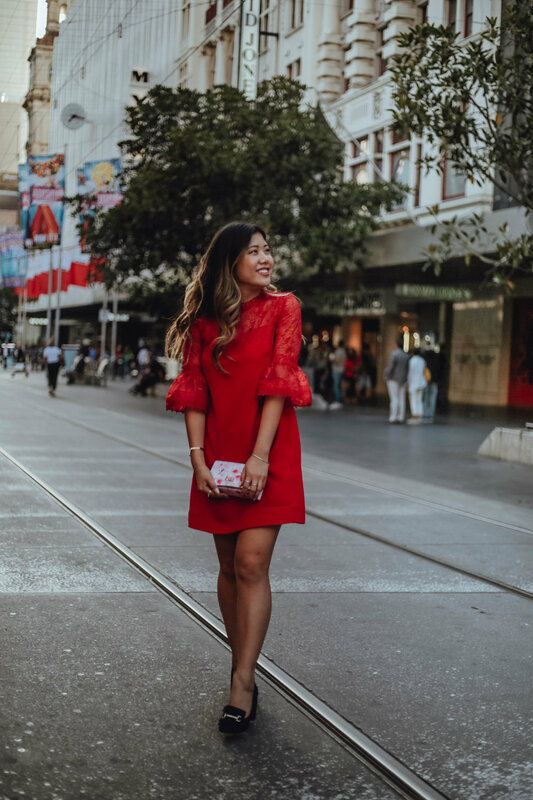 My little red dress was the perfect Chinese New Year dinner date outfit. Our little adventure following the lions led us to a fun dinner at Oriental Teahouse. Playing their 'Dating for Dumplings' dating game during dinner was the perfect way to finish the night, with endless dumplings and even more laughs.